L-Tyrosine is an ingredient that is found in certain weight loss and diet supplements. It is frequently chosen due to the benefits that it has the potential to provide dieters who use it in conjunction with the appropriate form of healthy eating and exercising habits. Moreover, many product manufacturers appreciate the growing body of research that has been conducted on this substance and the clinical trials that suggest that it can be helpful in overcoming often overlooked dieting issues. 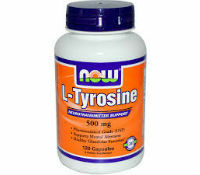 Primarily, L-Tyrosine is a substance that has been found to enhance certain functions within the brain. The outcome of that effect can be a reduction in anxiety and stress, as well as easing the symptoms of depression. This occurs through an increase in the dopamine and norepinephrine levels in the brain. In this sense, this ingredient can help a dieter to overcome some of the struggles that can be associated with dieting on a mental and emotional level. Depression and stress are frequently linked with the effort to lose weight, as this is a challenging, long-term process that involves lifestyle changes in varying degrees. Giving a dieter mood support and improved overall motivation can be very helpful in ensuring that a dieting goal is reached. That said, some smaller and more limited studies have suggested that L-Tyrosine could help to promote thermogenesis in the body. While that research is only preliminary, by increasing the body temperature, it will naturally burn more fats and calories as heat. This can be particularly effective when it is combined with cardio exercise, which already raises the temperature and fat burning rate of the body. The idea is that it can enhance the results that would already be achieved through proper workouts. 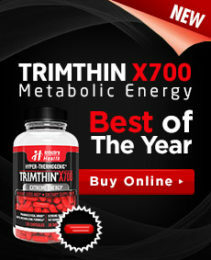 Another study that looked into L-Tyrosine was called “Body fat loss achieved by stimulation of thermogenesis by a combination of bioactive food ingredients: a placebo-controlled, double-blind 8-week intervention in obese subjects.” It was published in 2007 in the International Journal of Obesity and it found that when compared to participants who were given a placebo, people who used this ingredient experienced a measurable increase in thermogenesis for a period of four hours.